The first weekend in August is the peak of back-to-school shopping for parents, but Amazon Prime Day stealthily advertised deals that extended the shopping season over a few months. Why it matters: Parents are expected to spend more than ever on clothing, electronics and school supplies, but Prime Day's deals last month jumpstarted the back-to-school season, allowing buyers to plan out purchases over a longer period of time instead of just one or two impulse-driven weekends. 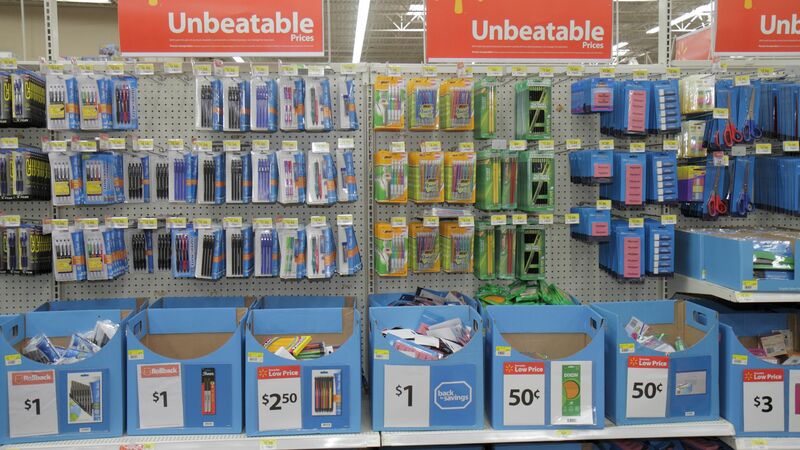 By the numbers: Shopping for school supplies has become a key season for retailers as schools and universities provide vast lists of recommended or required items for students — sometimes specifying the recommended type of laptop or brand of disinfectant wipes. And this is the first year that stores are increasingly using more diverse forms of social media to reach shoppers, according to a report by Retailmenot. More than 180 retailers kicked off competitive deals against Prime Day, a 53% increase from 2017. 67% will use Facebook Live for back-to-school deals. 55% and 42% will market their products with beauty and celebrity influencers, respectively. 44% are increasing their offline ads, per eMarketer. The average family with children in elementary school through high school will spend $684.79, steady with last year’s $687.72, the National Retail Federation predicts. Don't forget: Price is still the main deciding factor for back-to-school season as stores try to get shoppers through their doors. 1 safety thing: Bulletproof backpacks are now showing up online and in big stores like Walmart and Home Depot. The item has always been available on niche websites, but creators are seeing sales up by 300%, Ben Hansen, the owner of Active Violence Solutions told GV Wire. Most of the backpacks range from $120-$500.